Register your pledge to unplug electronic devices the next months below and help with combating climate change. 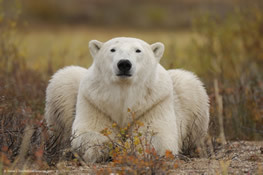 All single pledges combined will generate a huge contribution to saving polar species and their habitat. Small actions, big difference. If you have successfully fulfilled your pledge to unplug we will send you a link to an exclusive photograph taken by Daniel J.Cox/Natural Exposures. You can frame the photograph or use it as your wallpaper (when your equipment is turned on) – it’s our thank you for your hard work to reduce carbon emissions and help save polar species.